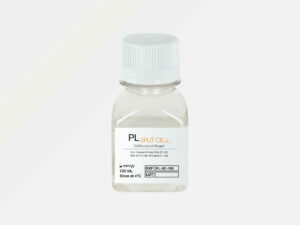 PLSOLUTION Research Grade is an animal serum-free cell culture supplement derived from human platelets. PLSOLUTION Research Grade is manufactured to meet the needs of basic research and development. PLSOLUTION Research Grade represents a more cost effective alternative to serum-free media and supports the in vitro propagation and maintenance of various human cell types, particularly adult stem cells, e.g. MSCs. PLSOLUTION Research Grade is manufactured from platelet units obtained from healthy blood donors at EMA-licensed blood centres. PLSOLUTION Research Grade is provided in validated Nalgene® bottles in different sizes.